Green Spain, the country's most northern provinces, offer stunningly-set beaches alongside verdant countryside. Cantabria is no exception. So remember to pack your swimming costume along with your hiking gear on a holiday there. 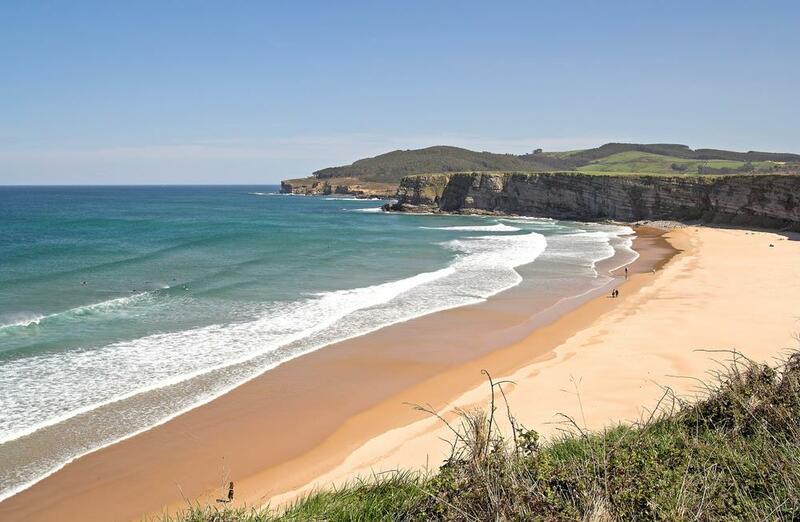 Here are our 10 favourite Cantabria beaches. 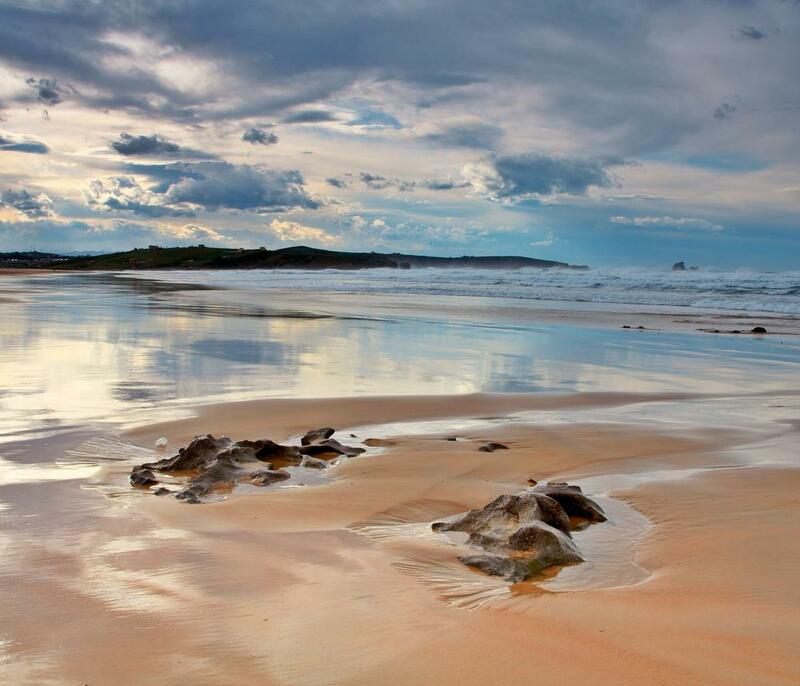 Boasting waves you can ride all year long, this beach with brazen golden sand attracts a loyal following of surfers. 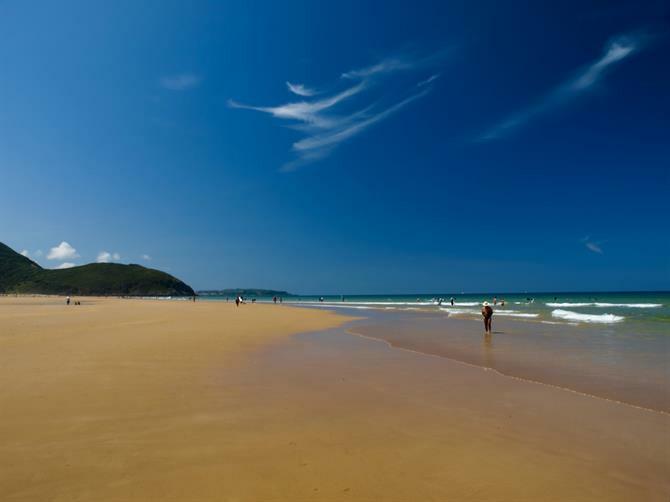 Clean and serene, a dip in the Cantabrian sea is a great pick-me-up. Especially if you're hungover after one too many orujos, the potent liqeur beloved of locals, the night before. 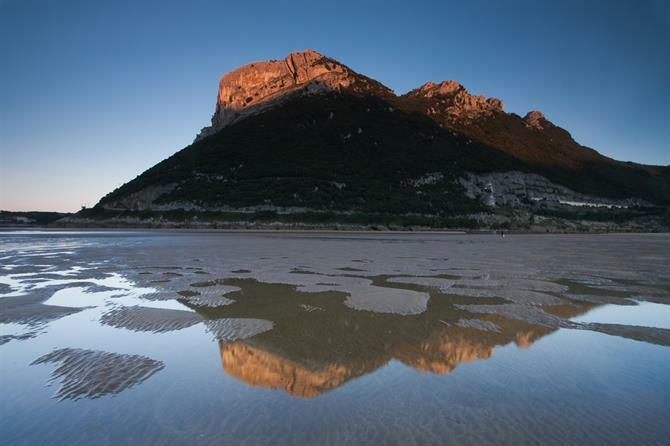 To reach this 2km-long beach, follow the U-shaped easterly route from Santander along the S-10 and A-8 roads. Travelling along the S-10 may look more direct, but it's actually longer in terms of mileage. Door to shore should take you less than 40 minutes. 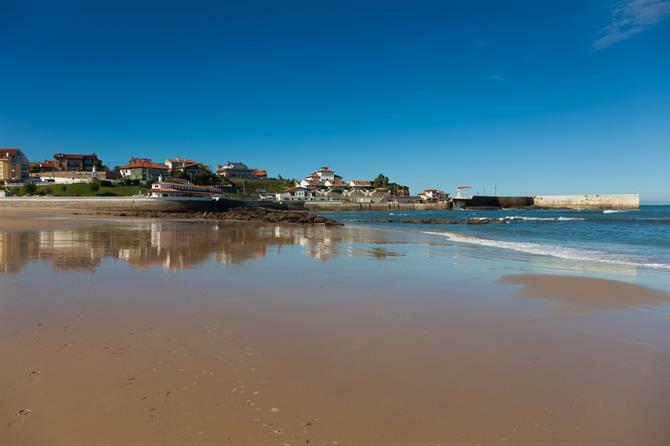 A traditional fishing village turned resort, lovers of fish and seafood dishes won't go hungry in Comillas. Made up of sand so fine, it easily passes through your fingertips, this central beach is a popular venue to go diving, sailing, and windsurfing. So typical of beaches in the region, Comillas flys its Blue Flag proudly. Head west from Santander to arrive at this 900m-stretch of shoreline. Switching from the A-67 to A-8 offers the faster route. A journey easily doable within 45 minutes. 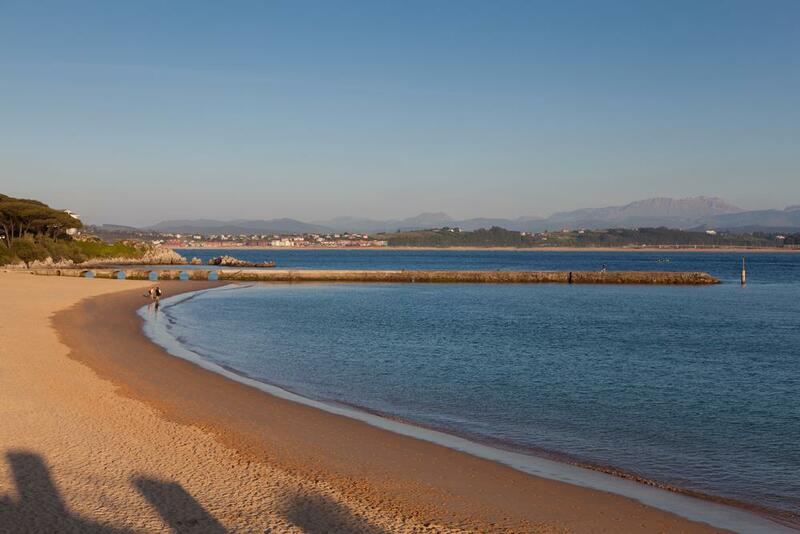 For a day out at the seaside, you don't even have to leave Santander. 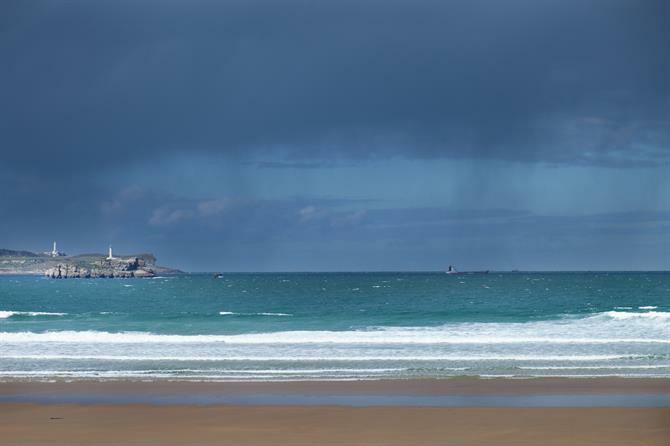 The 1.3km-long El Sardinero is actually two beaches. The primera and segunda playa (first and second beaches) are divided by the Jardines de Piquío whose tamarind trees bring a little bit of tropical Africa to northern Spain. Along the Costa Trasmiera there's a stairway to heaven in reverse. For walking down the wooden stairs leads you to a beach so perfect you'll pinch yourselves all over to ensure it's real. There's no resort at Langre with rural farmland dramatically running out of space atop limestone cliffs. The quickest way to cross the Bay of Santander is by boat. But following the S-10 eastwards will see you beat an escape the city to this green getaway in just over half an hour. 1km of mellow yellow awaits. Board stupid? Warm water and wild waves makes Los Locos (the Crazy Ones) a mecca for surfers. Take care with the tide here, however, as it can catch you out at times. 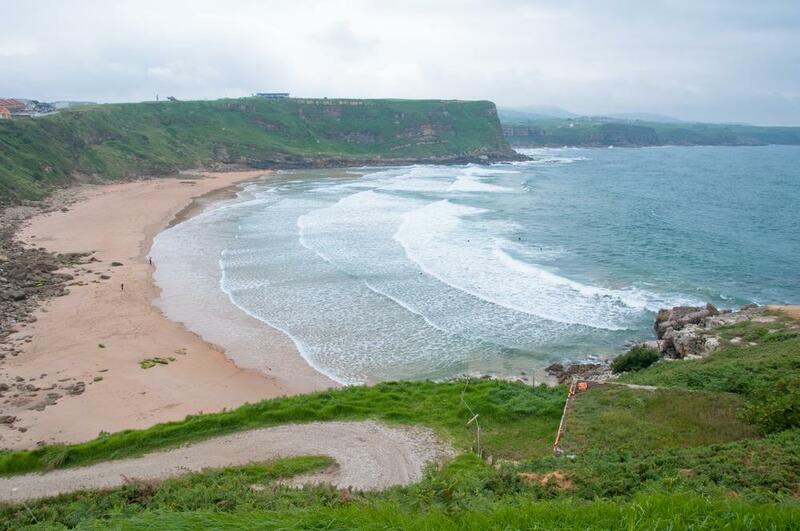 A Suances beach, it's just over a half-hour drive from Santander. Travel westwards along the A-67 to reach the area. Which is also home to surf schools with absolute beginners in mind. 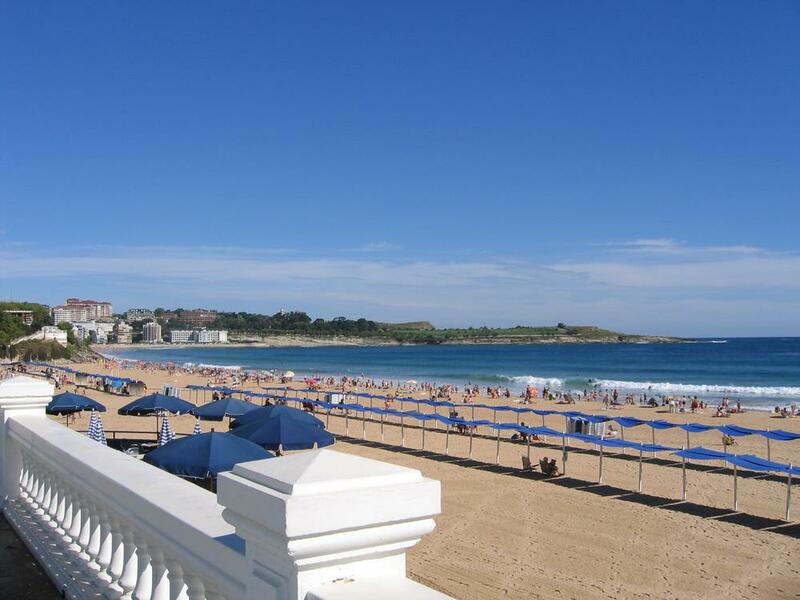 Another of Santander's urban beaches, Magdalena's as majestic as the palace located above which offers commanding views of its peninsula. Watch the locals playing palas on an inviting stretch of sand which was once the Spanish royal family's nearest beach. Or invest in a beach bat-and-ball set to join in. Sand that's ideal for crafting castles, lifeguards, not too big, Mataleñas is the perfect family beach. There's little chance of children getting lost here. 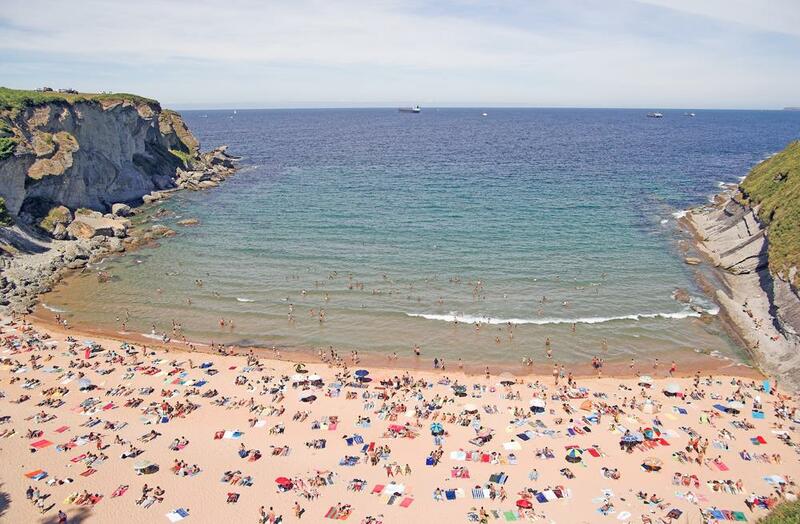 This is Cantabria's take on the classic Mediterranean beach. 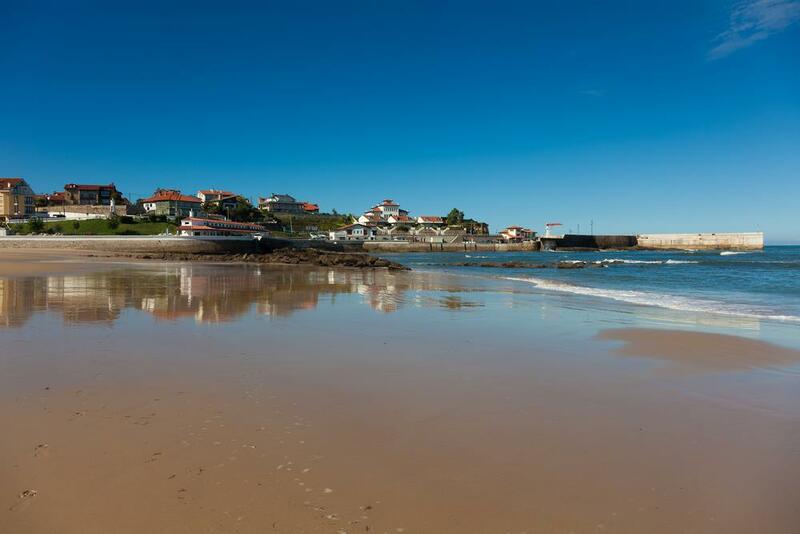 An iconic Santander beach, descend between the Cabo Mayor and Cabo Menor to reach its tantalizing grains of sand. Going down is less of a workout than the return journey. Sunnier in the morning than the afternoon, you'll need to reapply cream frequently am rather than pm. Another favourite with families, a horseshoe arrangement of cliffs provides Oriñón with plenty of shade. And as the tide goes out, rockpools offer a chance to get up close and personal with Cantabrian marine line. Or an opportunity for young kids to throw off their waterwings and splash around at their pleasure. Located just past the popular tourist resort of Lareda, a drive to Oriñón clocks in at just under the 40-minute mark. Head east along the A-8 to reach this horseshore bay. Comfortably one of the most picturesque places to hang out with your family. Turn left for kitesurfing, go straight ahead for swimming, and right for surfing. Somo is three beaches rolled into one. And at 3km long, there's room for everyone. 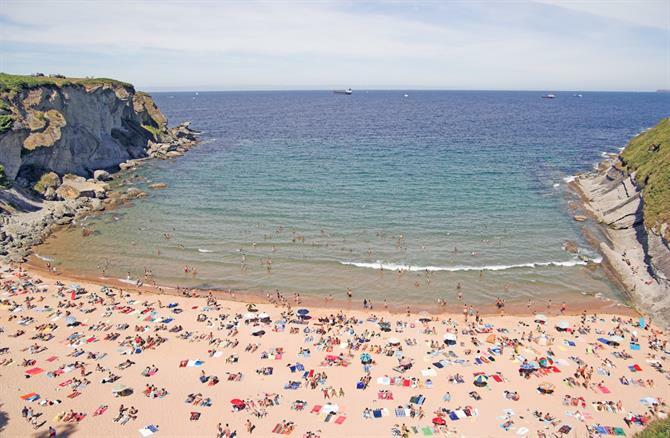 Take a 10-minute boat trip to Somo across Santander Bay. Boats leave every 10 minutes. Alternatively, take the S-10 by car and you'll be there in less than half an hour. It may be a secluded beach, but Valdearenas nevertheless offers easy access to disabled visitors. 2.8km long, it stretches up to 50 metres wide. Air and water temperature coincide here, so you won't have to will yourself to make the plunge as can be the case in chillier waters. Further along the coast from Laredo than Oriñón, the A-8 again is your best way of getting there. A round trip should take you around an hour and a half. Although arriving is easier than leaving, such is the beach's idyllic setting which will tempt you into staying to watch the sun go down. Santander, Cantabria is an ideal destination for family holidays: beaches, activities, touristic sites, incredible gastronomy and more. Why hello, beach lovers. It's not just the east, Costa Brava, coast and south, Costa del Sol, coast which boast beautiful beaches. Hit the north. Wining and dining is serious business in Spain. Although it's no Basque Country and Catalonia in terms of gastronomy, you can eat well in Cantabria.